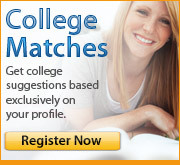 Thank you for your interest in applying the www.mycollegeoptions.org link to your website. The My College Options team is constantly building online college admissions resources to benefit your organizational constituencies with college planning articles, interactive tools, test preparation games and more! To apply the My College Options link to your website, please forward the webmaster instructions below to your IT/Web Administrator. *The link above will appear as My College Options® on your website. You may customize the link to conform to your web design preferences. Use the above embedded image file. Copy and paste the following code into your web page. You can set a custom size by modifying width in the HTML below. Copy and paste the following code into your web page. Note that you need to be able to dedicate an area of 430px/290px to accommodate the College and Scholarship Search Widget. For additional customization options for your website, please Contact Us for further information.